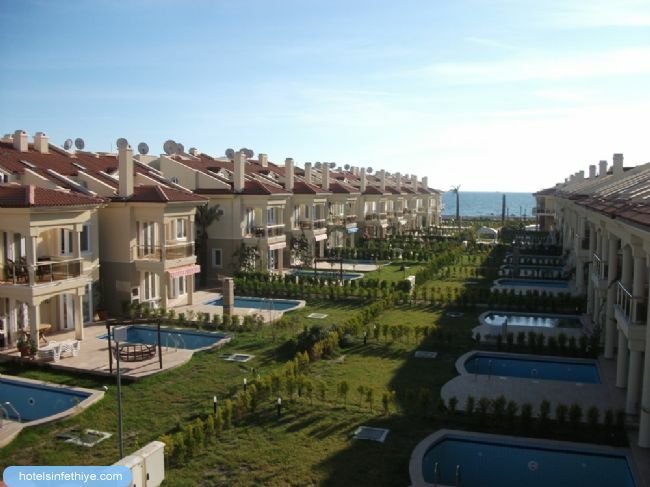 Luxury villa with Private Pool and sea view The Villa is set right on the Sea Front in Calis Beach . Ideal luxury holiday accommodation sleeps: 8 bedrooms: 4 The location of the Luxury villa is sea front a detached villa with own swimming pool and bathing terrace . 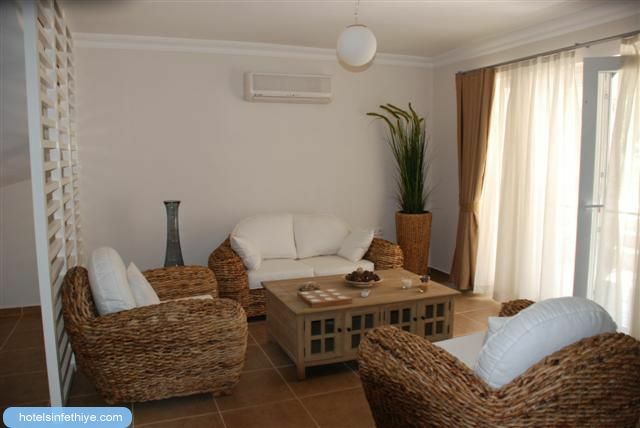 The villa is 4 bedroom and 4 bathrooms will sleep very comfortably 8 people . 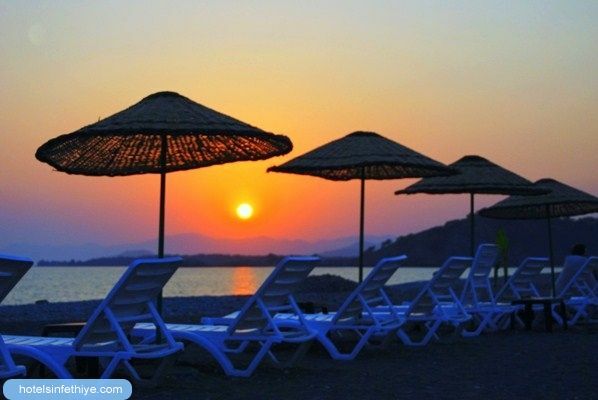 Prime position within a secure holiday village on the sea fronts in Calis Beach . 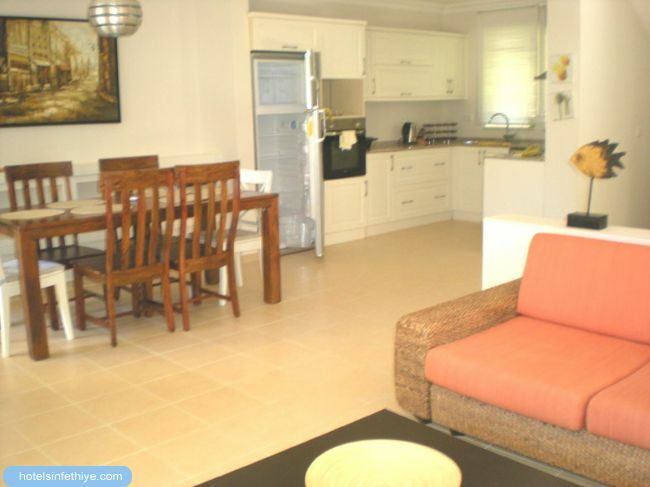 Holiday acommodation comprises over 3 levels ground level is modern open plan living with built-in kitchen dining lounge area with quality furnishings plus air-conditioning in all rooms . Patio doors lead out onto large terrace and swimming pool area . 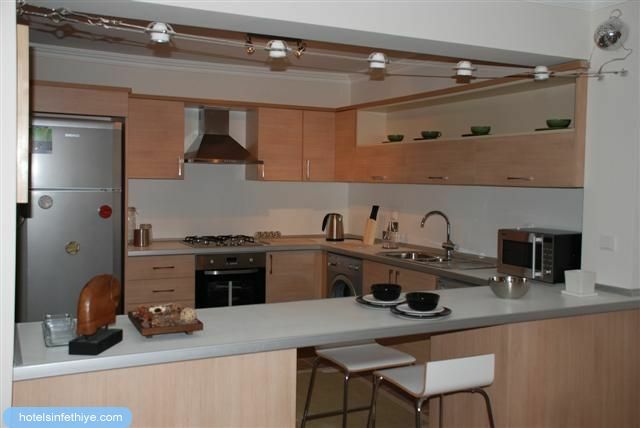 First level has 3 bedrooms , two twin bed rooms one has private balcony. Family bathroom with shower cabin. 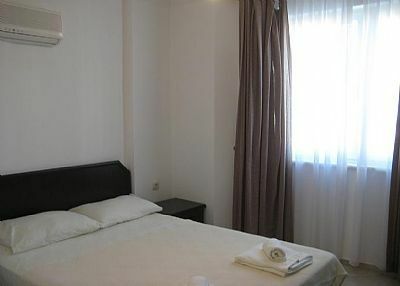 Double bedroom has own covered terrace and en-suite facilities. 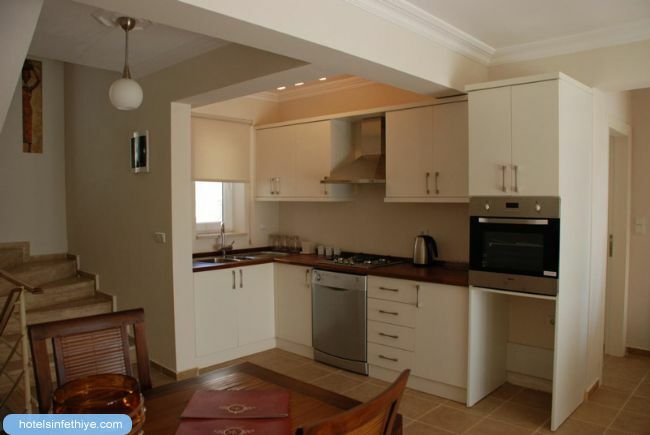 Upper level has large double bedroom with bathroom and roof terrace with amazing sea view. On-site there are also facilities with 24 hour security , restaurant , cafe , bar areas , market , fitness centre , ındoor pool and three large communal swimming pools . A private sandy beach with sun lounges and water sport activities .